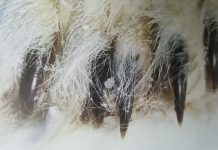 According to a legend, many centuries ago one of the individuals of some indigenous group consumed a polar bear liver and he got ill and soon died of it. 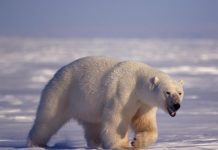 Although it isn’t clear if that individual fell ill or actually died of eating polar bear liver, he nevertheless left many of the researchers to wonder if the polar bear liver is really poisonous. 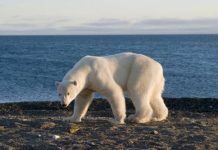 Let us study some facts about its liver and see if we can come up with some conclusive evidence in respect to the toxicity of a polar bear liver. 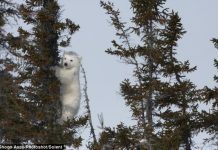 Even so, the Arctic explorers of the 16th century had reported that the Inuit were probably aware of the toxic contents in a polar bear liver. There is written evidence in the form of a diary which was written in 1597. The one who wrote the diary was living in Novaya Zemlya, Russia then. He mentioned quite clearly the dangers associated with eating polar bear liver. However, many of the later researchers appeared to ignore this particular evidence because they thought that early Arctic explorers would make numerous writing tales of woe such as this. 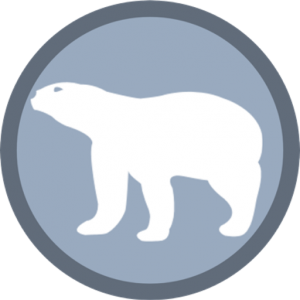 Is Polar Bear Liver Poisonous? – If So, How? In March 1907, about 19 men ate the polar bear liver and their condition was reported by a Danish physician. While the polar bear liver doesn’t seem to be just as fatal, the early Inuit claimed that eating a polar bear caused immediate death. Let’s see scientifically if it is really poisonous to consume liver of a polar bear. Soon after the World War II ended, researchers carried out a study in which they fed polar bear liver to laboratory rats. You know what might have happened to the rats? The rats died immediately! However, when the researchers removed Vitamin A from a polar bear liver and fed it again to other rats—the rats lived. Eventually they concluded that eating a polar bear liver is most likely to cause hypervitaminosis A not only in rats—but in humans too. Hypervitaminosis is a condition that occurs when you take in excessive Vitamin A.
Polar bear is at the top of its food web. It has the highest levels of Vitamin A in its Liver. Polar bear liver. Studies suggest that in any organism, the percentage of Vitamin A is highest in its liver. There are fat droplets which are present in the hepatic stellate cells also called Ito cells. The Vitamin A is mainly found in these fat droplets. 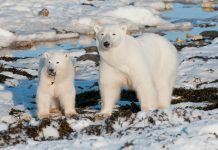 Compared to humans, polar bear liver contains 20 to 100 times the content of Vitamin A; however, they have equally greater number of Ito cells to counter toxic contents of a liver. The polar bear liver has 4 times as many Ito cells as of human liver. According to scientists, the content of a Vitamin A (in your liver) primarily depends on your ranking in a food web. If you’re at the top of your food web then you’ll probably accumulate the highest levels of Vitamin A. 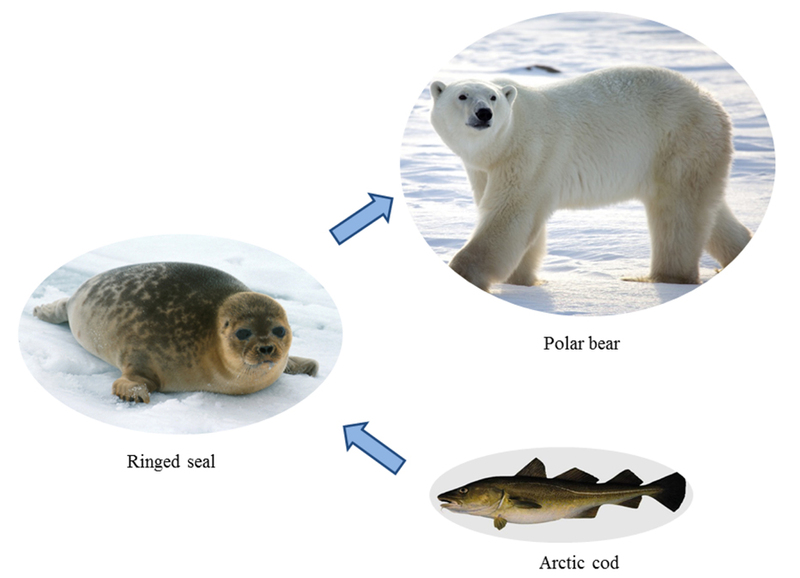 Similarly, since polar bears are the apex predators and for the most of their consumption they rely on seals, their liver is rich in Vitamin A perhaps not surprisingly. Just to let you know that seals also contain high levels of Vitamin A. The bottom line is that the level of Vitamin A is highest in a polar bear liver. 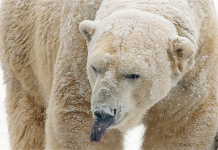 There are quite many symptoms that begins 2 to 3 hours after eating a polar bear liver. These symptoms include excessive sleep, sluggishness, headaches, vomiting, constipation, diarrhea, and pain in the eyeballs. The symptoms might not be limited to the above pains if you’ve consumed a significant amount of polar bear liver. You’re most likely to suffer from cramps or muscle spasms in your legs and arms. You might feel (perhaps not as much) a little loss of appetite. Your tongue turns grey in color. After 24 hours your skin likely peels around your mouth, feet, and hands. The skin will continue to peel for as long as 30 days.